Does the Catholic Church ‘make’ a saint? Of course not, but in this episode of the SaintCast, learn the intricate details of the canonization process from square one. Also, a profile of the great English martyr, St. John Fisher. The Saint news segment features new on the relics of Padre Pio, Kateri Tekakwitha’s cause, and the upcoming Beatification ceremony of Bl. John Newman. 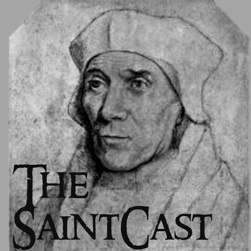 More extras on the iPhone SaintCast App, and the Saints of the Week in the liturgical calendar on this week’s SaintCast. ‘This Week in Saint History’ now on the iPhone App! NB I misspoke in the podcast, John Henry Newman was neither an Anglican Bishop nor a Roman Catholic Bishop before he was appointed cardinal by Leo XIII in 1879. • Get the SaintCast App for the iPhone!